Here’s some of the haul I left with (above), featuring some quality screened tees, sweatshirt, koozies, shop rags, patches, stickers and some backup helmet parts. The brands of goods you’ll find are made up of internationally-known companies and locally-based creative folks. Both ends of the spectrum create their products with careful consideration of design and, in many cases, nostalgia. 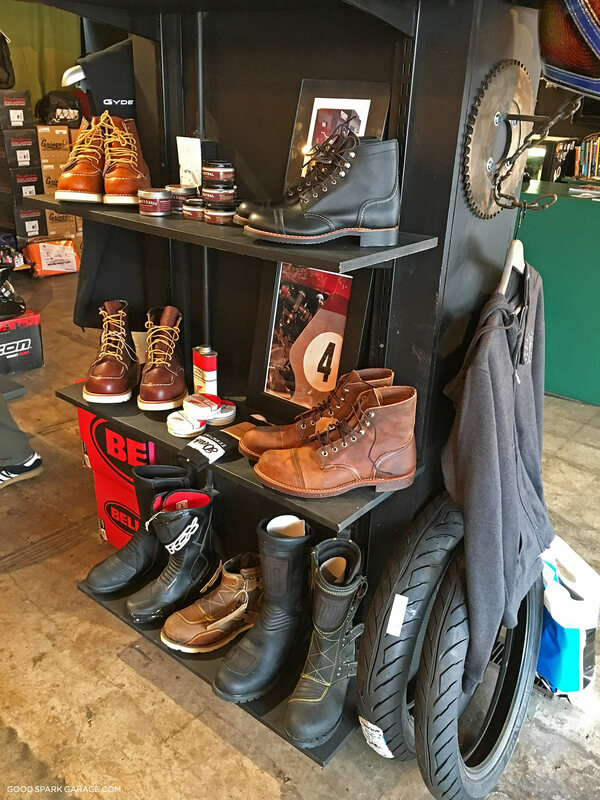 To give you an idea of who they stock, here’s a partial list: REV’IT, Biltwell, Red Wing, ICON1000, Belstaff, Stylmartin, Deus Ex Machina, AGV, Bell, Lewis Leather, Held, Lee Parks, Schott, Roland Sands, Vanson, etc., etc. Don’t go thinking this is just a hipster mart, there’s plenty of paraphernalia for edgy riders and fringe folk. 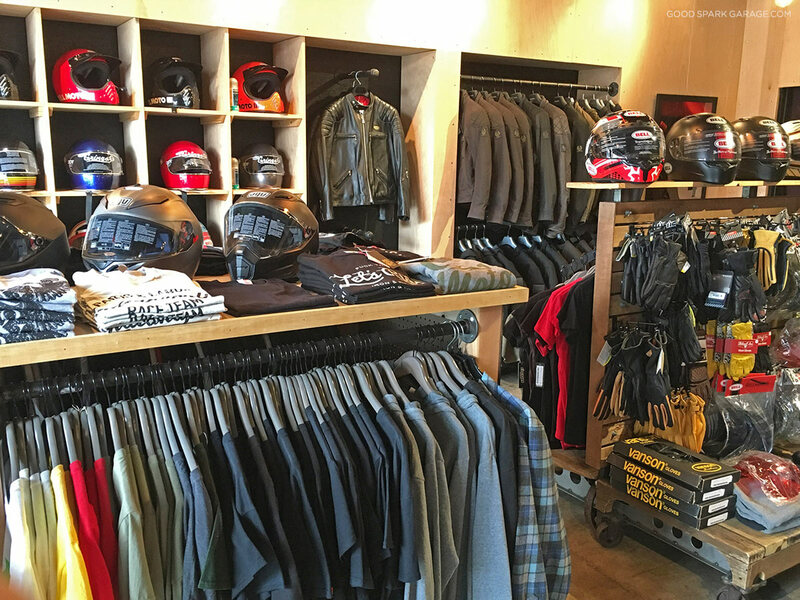 From tees that make a statement, high-quality cuts of leather, and bike accessories, there’s something for everyone. Who doesn’t like a well-stocked mag rack? 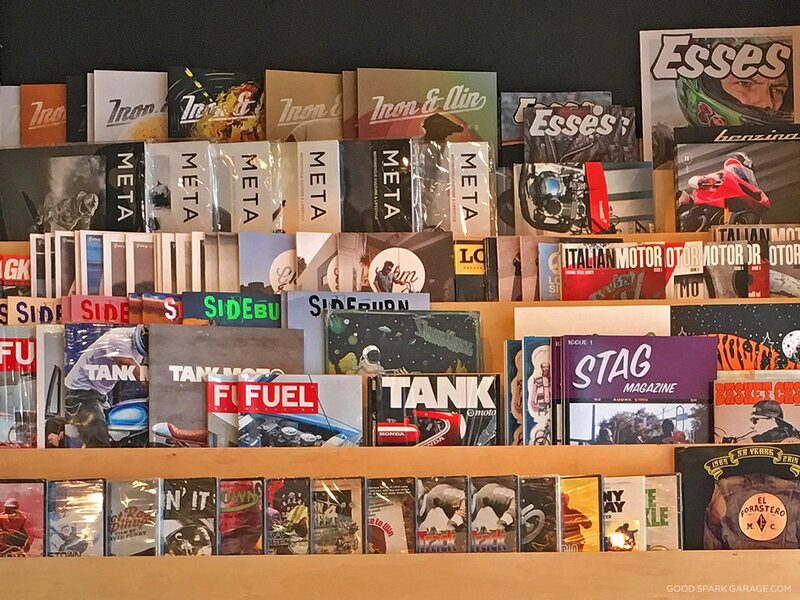 City Moto has a wide range of creative publications as well as hardback books in their reading nook. 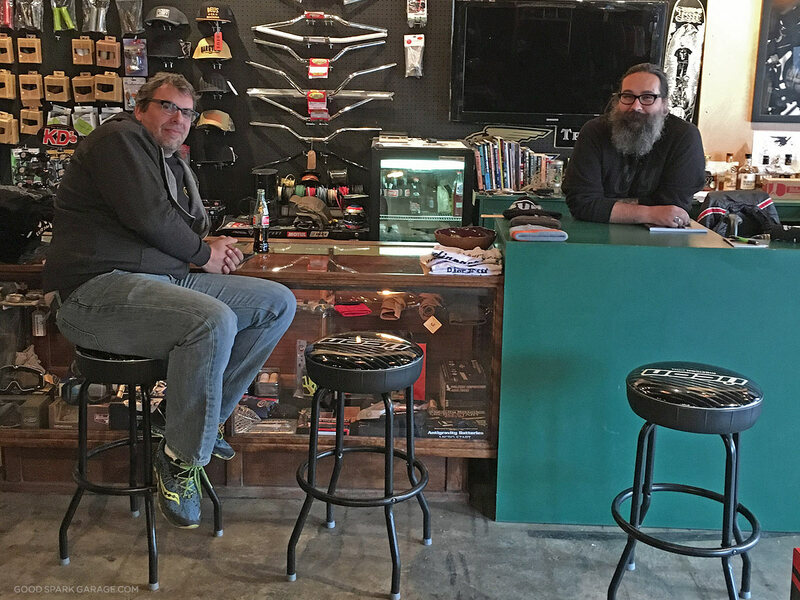 Shop owners, Kurt (left) and Joe are nice guys who’ve assembled and expanded their offerings in a classic brick-n-mortar, face-to-face environment. I’m sure you’ve heard the term Hoosier Hospitality; it’s alive and well here. 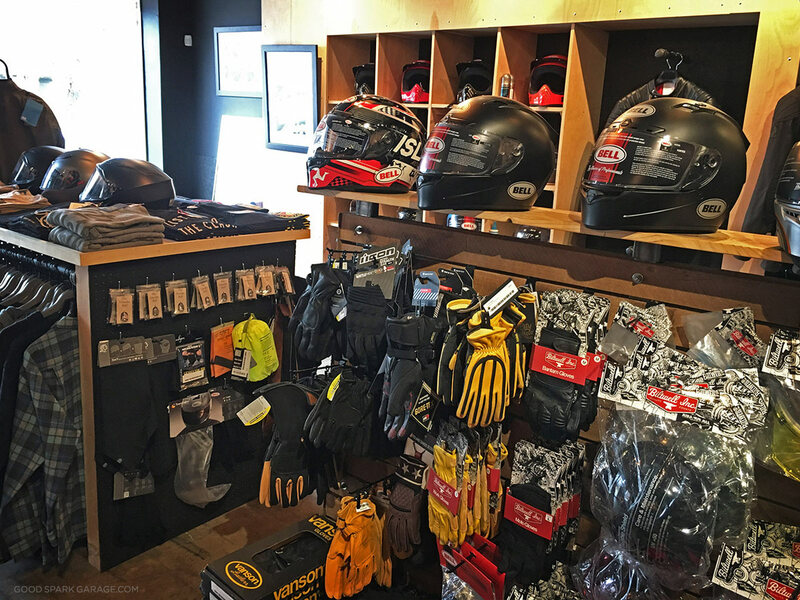 If you end up riding over to take a gander, bring a backpack, bungee cords, or saddlebags; you’re gonna be tempted. 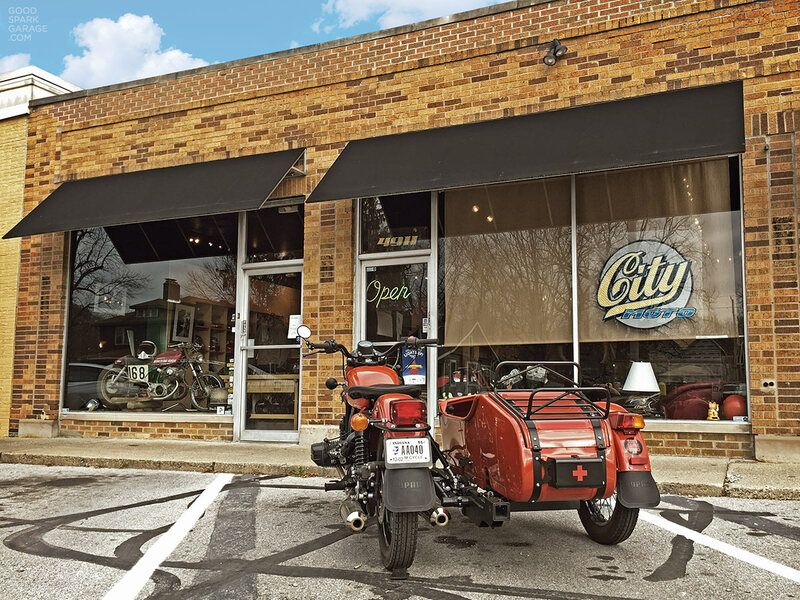 It’s a great destination to aim toward; just south of the eclectic Broad Ripple and just north of the happenin’ downtown Indy. 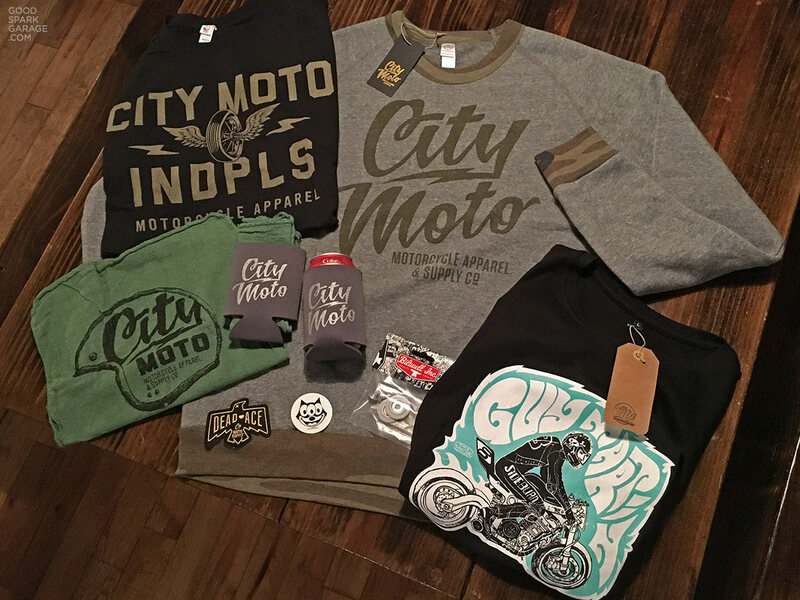 Check out City Moto on Facebook or stop in at 4911 N College Ave, Indianapolis, Indiana. 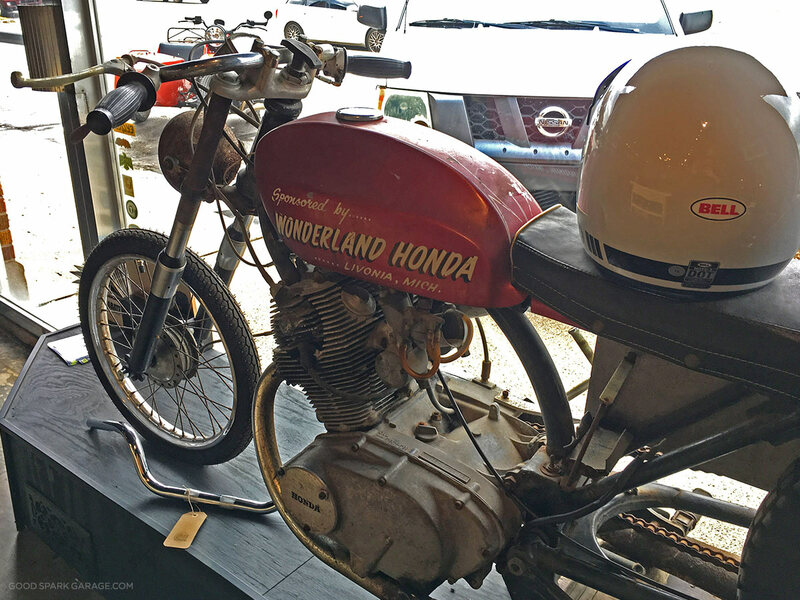 Keep it tuned in to Good Spark Garage for more features on destinations that keep the motorcycle spirit alive in this increasingly cyber world. Thank you again for the plug. We appreciate the comments and the great photography along with the attention. We are looking forward to seeing you again soon. Hopefully, the winter will be kind to us. 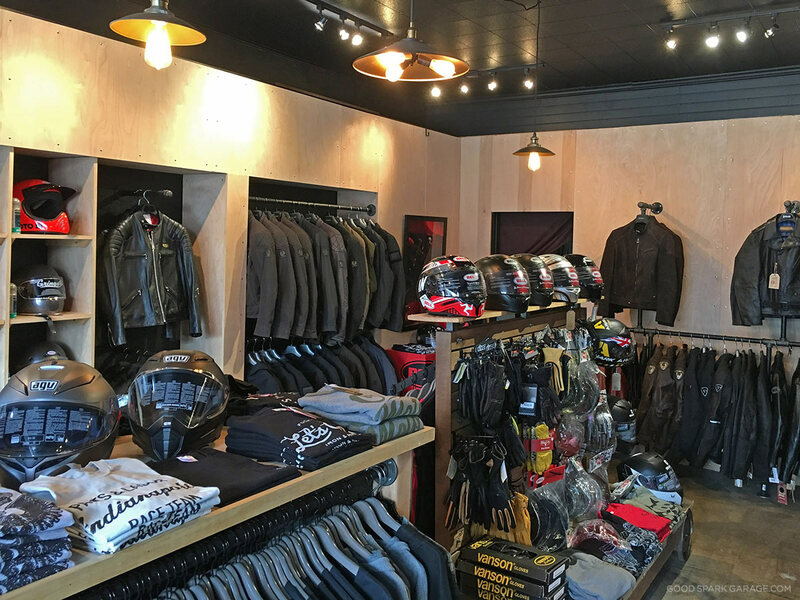 Indy’s source for Schott jackets! The customer service I’ve received at this shop is unparalleled. Kurt and Joe have special ordered items for me, and kept me up to date via Facebook messenger. Whenever I pick up a big purchase, we enjoy a shot of bourbon. 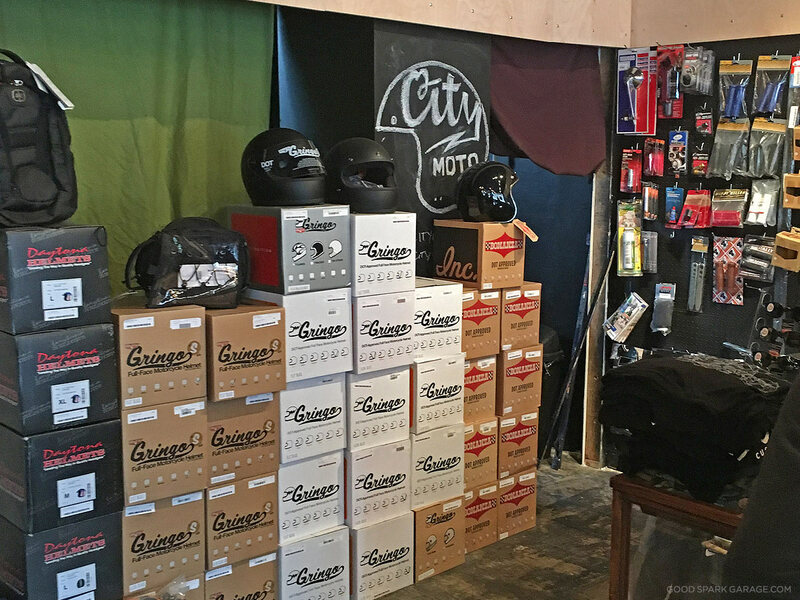 I highly recommend City Moto.